This is a square White Heat Coal porcelain sign. This particular White Heat Coal sign is black and white. 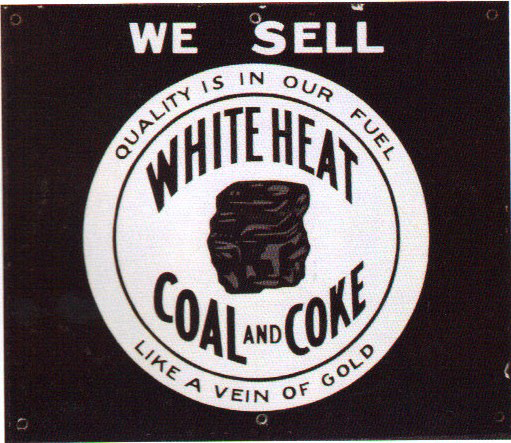 It reads, “We Sell White Heat Coal and Coke, Quality Is In Our Fuel, Like A Vein of Gold” and features a lump of black coal against a white circle in the center of the sign.